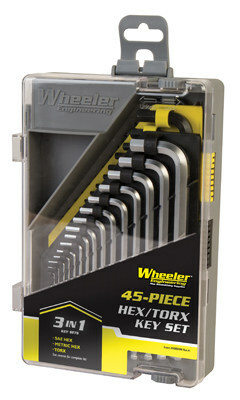 Store all your key sets in one place with the Wheeler 45-Piece Key Set. 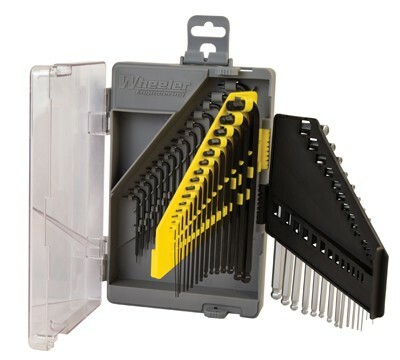 This compact set takes up little space on your workbench and will allow for you to store all SAE, Metric Hex and Torx Keys together. Never again will you have to dig around for odd or different sizes, simply open your kit, turn to the page you need and continue working.